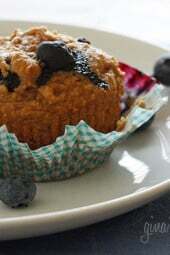 Moist and delicious low fat whole wheat muffins loaded with blueberries in every bite. 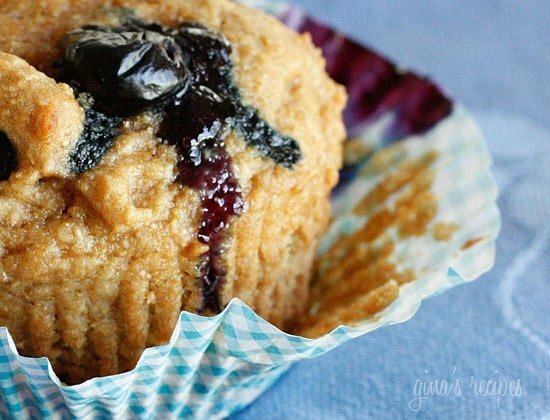 Isn’t it dissatisfying when you buy a blueberry muffin thinking it’s a healthy breakfast option and it’s basically a sweet piece of cake with blueberries and lots of fat disguised as a muffin? 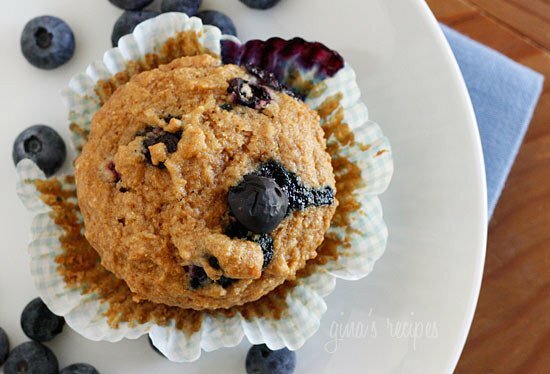 These muffins are low in calories and fat, high in fiber and good for you! 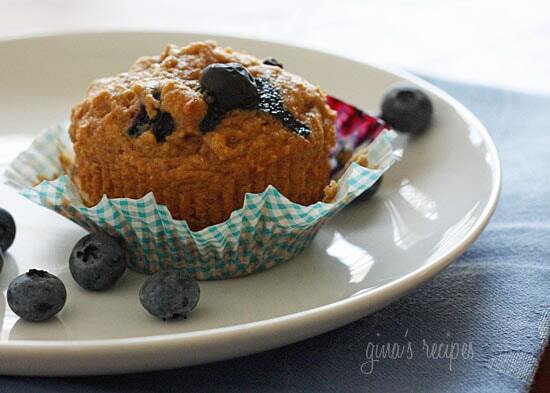 Most of the fat has been replaced by applesauce which gives you a very moist muffin without all the added fat. 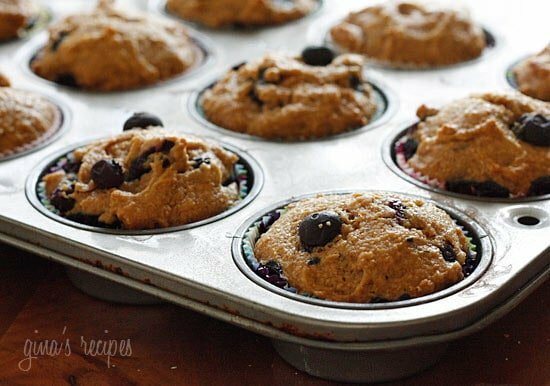 You can make a half batch just as easily as making a whole batch if 12 muffins are too much for your household. I love them best fresh out of the oven, but I usually reheat them a few seconds in the micro the next day and tightly wrap any remaining with plastic wrap. I highly recommend buying Bob’s Red Mill stone ground whole wheat pastry flour if you like to bake. It’s superb for baking muffins, cakes or cookies. If you only have regular whole wheat flour, you can do a blend of half white, half whole wheat and sift before using. Combine flour, sugar, baking soda, and salt in a large bowl. In a medium bowl, mix eggs, melted butter, vanilla and applesauce. Pour batter into 12 lined muffin tins and bake at 325° for 25 minutes, or until a toothpick inserted in the center comes out clean.